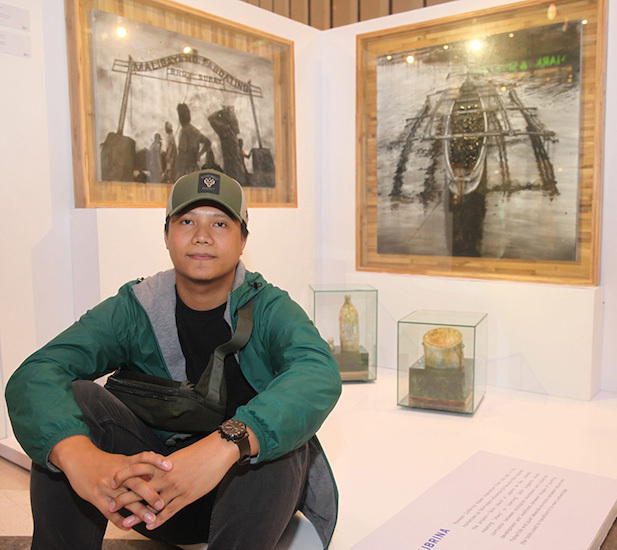 The Philippine Star has announced Ronson Culibrina as one of 12 shortlisted artists for the Fernando Zobél Prizes for Visual Art at this year’s edition of the Ateneo Art Awards. The prize recognises artists under the age of 36 on the basis of an outstanding recent solo exhibition. The Ateneo Art Awards is co-presented by the Ateneo Art Gallery, Shangri-La Plaza and Kalaw-Ledesma Foundation; in partnership with Areté, ArtAsiaPacific Magazine, Artesan Gallery + Studio, La Trobe Art Institute, Liverpool Hope University, Metro Society, YStyle, the Embassy of Italy, and the Embassy of Spain. Works by shortlisted artists from the awards exhibit from July 18 to August 3, 2018 at Shangri-la Plaza in Manila, Philippines. Read the feature by the Philippine Star here. Image courtesy of the Philippine Star.